Since water pumps can only move water when they’ve got water in them, it’s necessary to manually fill pumps and pipes before anything worthwhile will happen. Something similar must occur to make my art move, but what will prime the pump? OK put out the idea that a garden home space consultation is a time set aside to see what’s working and may not be working with your garden home space. If not you personally, then some allied friend or person that maybe in need of just such a consultation. This trial period would be dialectic in nature. The time spent would be towards getting an idea of how your space dictates your mood. On my own home front, change is afoot. We have a pool house and I use to joke that the pool man was pushed out by all of those items that have no space in the house. Owing to having a large family, there are bikes, surf boards, lawn mowers and so many other things that make sense and some that don’t. My neighbor moved and she let us have two outdoor sheds that now house the bikes and the lawn equipment. Thereby opening up this space which my middle daughter quickly co-opted. Now everything has been removed from the pool house and soon most of if will be at the curb. 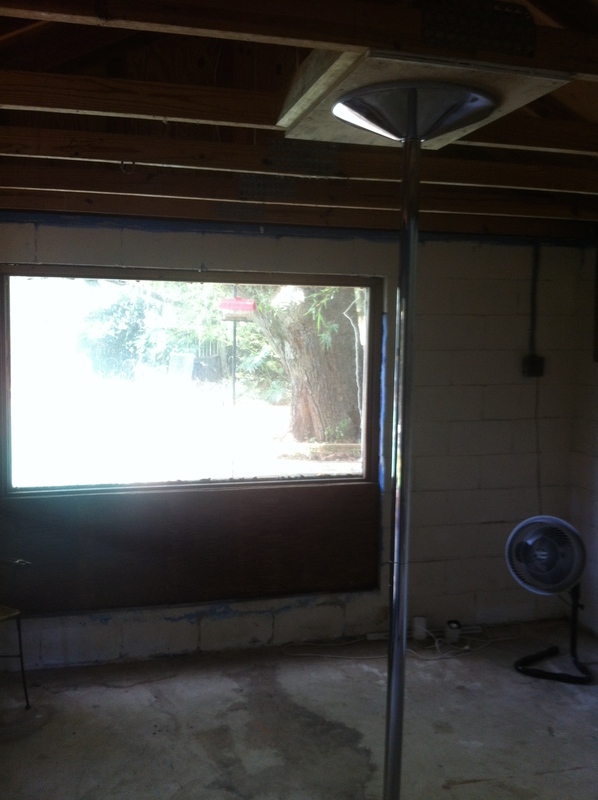 At the center of the pool house now has been installed a stainless steel pole that spins. My daughter and my wife are under the influence of vertical fitness. My oldest daughter seemed embarrassed that my wife new how to twerk. Which brought up a discussion of what pole fitness is about. It’s not about entertaining men, which could very well be a by product, but it’s about woman owning their femininity. And about using their bodies to create resistance to develop muscle tone. Which brings me to this idea of how important it is to realize that so much of our space is by default storage. In your own garden home spaces are there places where things are just put? ← How to move a large rock?